Games Meet Metal: The Return of the Riff Concert Review!! Oh boy oh boy, I'm finally hitting up shows again! It's been too damn long since my ears went partially deaf from being pounded by metal goodness, but now is the time. 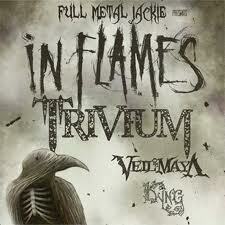 The Royal Oak Music Theater is on a good groove this year, with this show and Machine Head this past Saturday as well! Of course, a review of that show will be up in a few days. A note on this show: I sat down with Trivium's Matt Heafy and got to talk a whole bunch of nerdy gaming stuff with the man, so look for that in the coming week. It'd be sooner, but the man talked a lot! Takes time to transcribe all those words. Okay now, onto the bands! 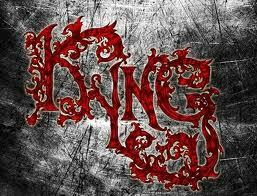 I didn't know a thing about Kyng going into the show other than the fact that they misspelled their band name.If I was going by the logo alone, I'd say they were Opeth-like. Well, silly me, they're nothing like that at all. In fact, they sound like latter day Corrosion of Conformity. Very bluesy metal with a Louisiana sludge metal tinge to it. If you're not liking the old school turn that COC have recently done, then you need to listen to Kyng RIGHT NOW!!! Veil of Maya are a competent enough band, but they just don't do too much for me. Maybe they're just too mediocre for me. Hey, the crowd seemed to like them enough, so at least they're on their side. Now I'm not saying they're terrible. Like I said earlier, they're competent. They just don't stick out in any original way in my mind. Oh hell yeah! 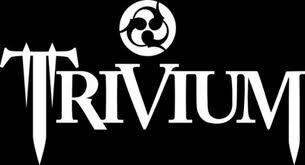 Trivium was easily the best act of the whole night by far! Totally crisp and clean, and songs from their entire discography. The new stuff from In Waves sounds spot-on, especially the title track which opened the show. They even whipped out Pull Harder on the Strings of your Martyr third song in! That's usually the show closer. The band is obviously growing and maturing by the show to make a decision like that. Oy, what the hell? 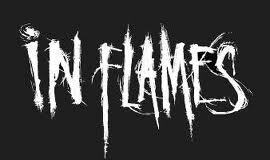 In Flames sound was absolutely horrible! The bass was way too high for the whole place! No matter where you stood, it sounded like you went to a crunk show! There really shouldn't be any excuse for that, since all the previous bands sounded perfect through the house speakers. There was also a few other problems, with their show, but I think I'll save that for another column. So, we had two really good acts, one meh, and one where things just seemed to go completely wrong. I think the next show will be a home run, in my opinion.